Here there be pirates, but not of the Caribbean. On to this week's review! Corsair is the sixth novel in The Oregon Files series, also spun off of the popular Dirk Pitt novels by Clive Cussler (I wrote a review of Medusa, the eighth novel in The NUMA Files series a few months ago, and you can read that here). The series follows the adventures of Juan Cabrillo and private, top-secret search and recovery team called the Corporation. In Corsair, their mission is to find out what has happened to the US Secretary of State Fiona Katamora after her plane crashes en route to a major peace summit in North Africa. My momma (ever the loving enabler of my reading addiction) picked it up to read, then passed it on to me because I've been a fan of Clive Cussler novels in the past. Corsair has many of the same elements that have made Clive Cussler such a fun read in the past. Backstory rooted in maritime history? Check. High stakes modern day storyline that is relevant to what is going on in the world today? Check. Heroic team leader who jumps in to save the day? Check. Action and adventures on land and the high seas? Check and check. In theory, it should have come together seamlessly, and yet…. It didn't quite get there. One of Corsair's biggest problems is how ineffectively it utilizes its characters. The Secretary of State is a perfect example of this. She is introduced in glowing terms, given some time to speak in the moments before her plane crashes, and not seen again until the terrorists that have taken her hostage trot her out to execute her. Cabrillo makes a mental note that she's his type in the middle of his daring rescue, and she does show a little moxie and a lot of humanity in the moments leading up to, but that's about it. Her character is deeply intertwined in the primary plotline, but not leveraged in a way that makes her rescue into that big payoff moment we all want in this kind of a novel. Fiona Katamora is, essentially, a throwaway character in a story that is supposed to be about her. It's frustrating to see this happen because I've found wonderfully strong, smart, and capable female characters in positions of power in the past in the Dirk Pitt novels and novels from The NUMA Files both. I expected to find the same in Corsair and was sorely disappointed to see Katamora get the short end of the stick. I wish Fiona Katamora ended up being the only character receiving this kind of treatment, but she's not. The leader of a modern day band of pirates, members of the Corporation team, and members of the terrorist group responsible for taking Katamora hostage are treated like disposable characters that get popped in and out as their particular skill sets or traits are needed to move on to the next point on the outline. 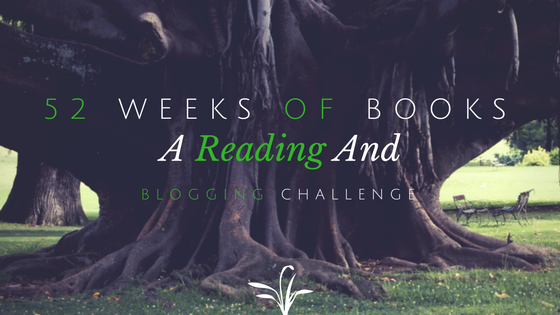 It works in that the central plotline gets resolved and the story is complete, but the technique does not create characters a reader becomes attached to. When I took Corsair back to my dear momma, she laughed because I'd had it for so long, she'd forgotten I had it. Then, when I briefly told her my impression of the story, she commented that the last few books she's read by Cussler lately have just not been as good as ones in the past - especially the ones where he's partnered with someone else to write them. 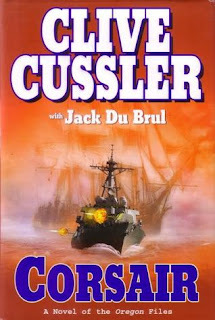 If Corsair is any indication, I think anything I pick up by Cussler in the future will be The NUMA Files up to Medusa, or the earlier Dirk Pitt adventures I missed reading during my high school and early college days.